San Francisco, June 30, 2018—We are very excited to announce that we’ve shipped the beta of our mobile platform, Thor Payments & Benefits! This app is the first ever blockchain-powered store that allows you to purchase items using credits obtained in a Token Sale! It has been sent to the app store for both Android and Apple. It is currently available for download in the Android app store and will be available in the Apple store as soon as it is approved on their end. This beta is intended for our community to test the functionality of our platform with regards to the sending and receiving of digital credits. That’s right, we want your help, THOR Buyers! By stress-testing our technology now, we can assure that our healthcare rollout will be seamless and devoid of the hiccups of other online health insurance marketplaces. 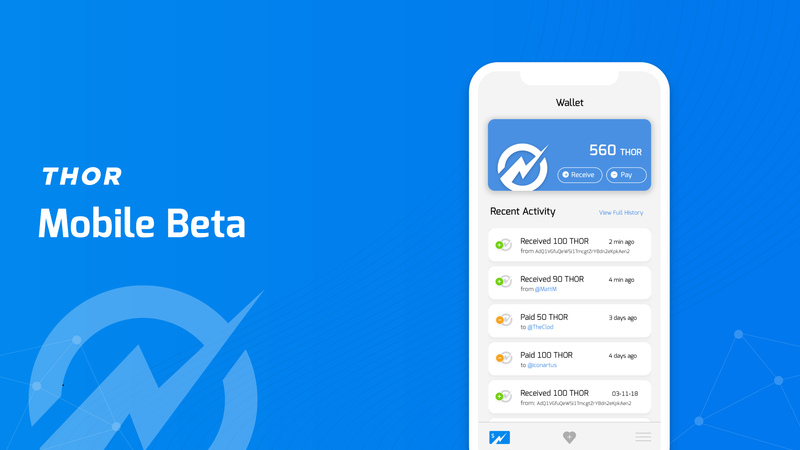 Once signed up, users will be able to send THOR (purchased in our Token Sale) to their Thor Mobile Wallet and purchase Thor swag with it. We are limiting the purchases to one per person for the first week to assure everything functions correctly with our contract packager. 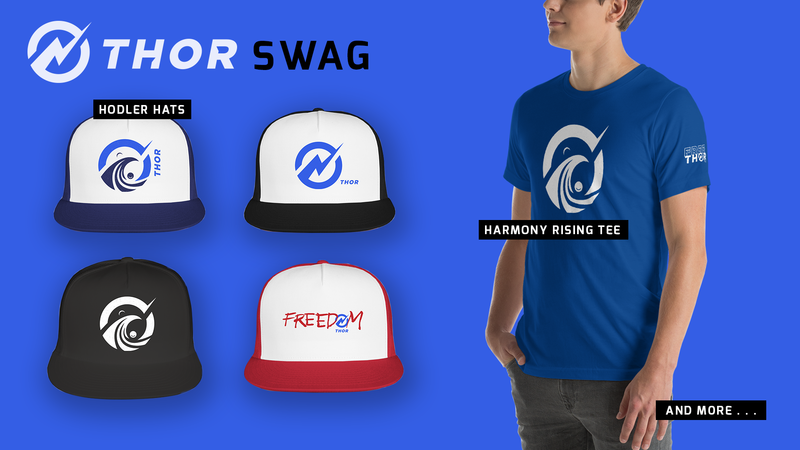 All swag will be sold at cost — we want to reward our awesome Thor family while polishing our UI and getting feedback from a community as invested in this project as we are! Get awesome Thor swag today! Shirts, hats, travel mugs, bumper stickers, window stickers, keychains, and more! (some products will be added over the coming days). Functionality of the platform will be available exclusively to our THOR Buyers, as sign-ups will be restricted to those who passed KYC in our Token Sale. As we add functionality to our platform, this app will be updated to incorporate new features. PLEASE NOTE: Users located in the United States (except Montana) will be able to deposit THOR to their Thor Wallet, but will not be able to withdraw or transfer THOR outside of their Thor Mobile Wallet until we have obtained the Money Transmitter License for their state of residence. We will announce additional platform functionality as Thor satisfies specific state money transmitter requirements.